Since the weather has been warmer I’ve been more inclined to wear clothing that shows off my legs and armpits – and I like to make sure that I’ve shaved them. Traditionally I’ve bought cheap razors from the ‘mens’ toiletry section of supermarkets and chemists since they are cheaper (yay, sexism! ), but recently there has been an influx of new companies offering low cost razor and blade subscription services, including Friction Free Shaving. 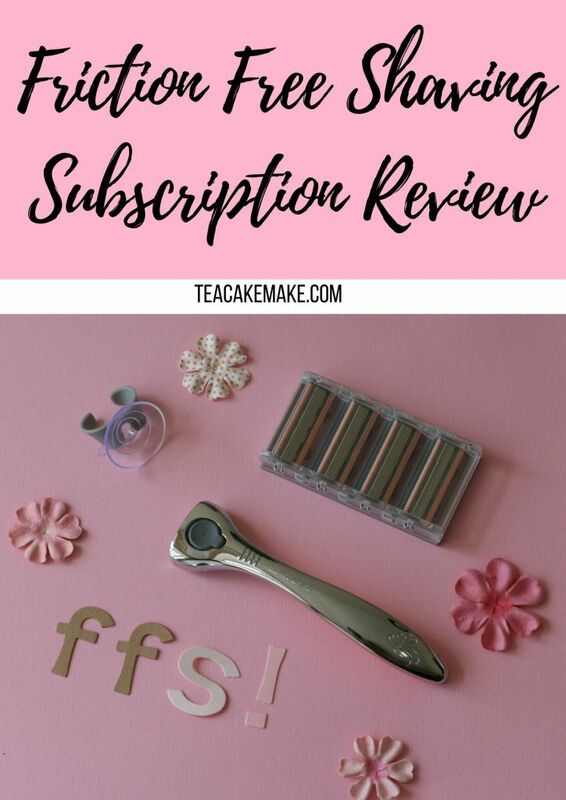 Friction Free Shaving* is a razor and blade subscription service which allows people to receive a high quality razor, plus blades and accessories on a subscription basis. When you first sign up, you order your first set, which will include your handle. You can currently choose between 3 types of razor handle: Rose (a rose gold metal handle for a 6 blade razor), Silvia (a silver metal handle for a 6 blade razor), and Frankie (a white and bright pink plastic handle for a 3 blade razor). If you choose one of the metal handles (Rose or Silvia), you’ll also be able to add custom engraving for an extra cost of £5 (this is fun if you’re giving it as a gift, or if you’re sharing a bathroom with others!) I chose to have my blog name added to my Silvia razor! You can also select a gift set*, which includes all 3 of the add on products as mentioned above. 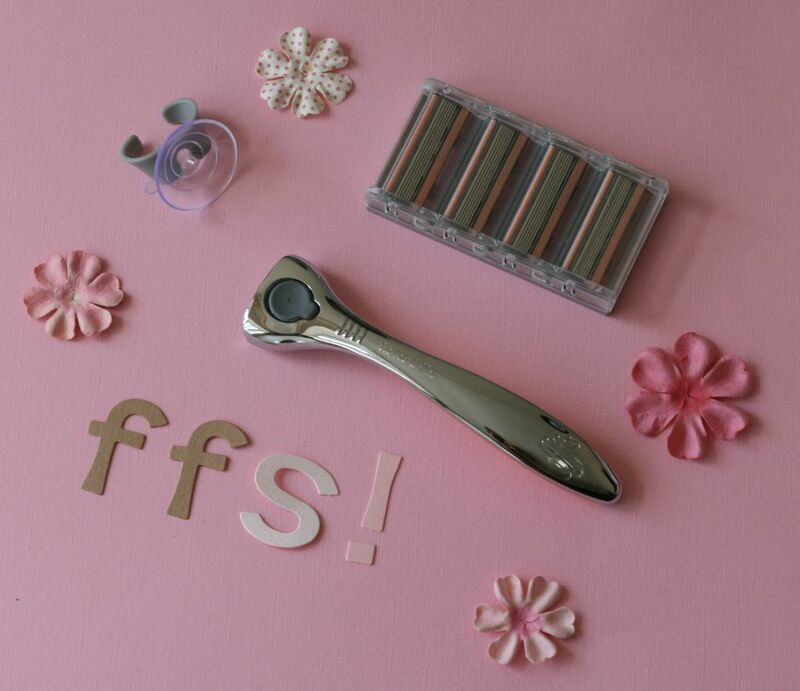 It’s then up to you to decide how regularly you wish to receive your replacement blades for your razor. Each set of replacement blades for the Frankie razor cost £5 each time, and for the Rose and Silvia razors the replacement blades are £9 for a set of 4. I chose the Silvia silver razor and had it engraved with my blog name. The items came pretty quickly, and just in time for the heat wave we’d experienced in April! An ideal time to give this all a go. I really liked how sleek the razor looked – in the past, women’s razors have always been very plasticky or bulky (like those razors with the built on moisturizing cream), but not the Silvia! And the blades worked really well. The cheap (and nasty) razors I usually go for take a lot longer on my long legs, which is annoying when time is of the essence, but the blades for the Rose and Silvia razors have 6 blades, and breeze along. Lovely. My legs ended up hair free, smooth, and cut free! Phew. There’s also an additional blade on the top of the blade cartridge, which you can use as a ‘styling bikini blade’ (as recommended by Friction Free Shaving*). Is Friction Free Shaving vegan? At time of writing, the Friction Free Shaving razors are vegan, however the add on products (pre shave scrub, shave cream, and post shave balm) all contain honey, which makes them not suitable for vegans. 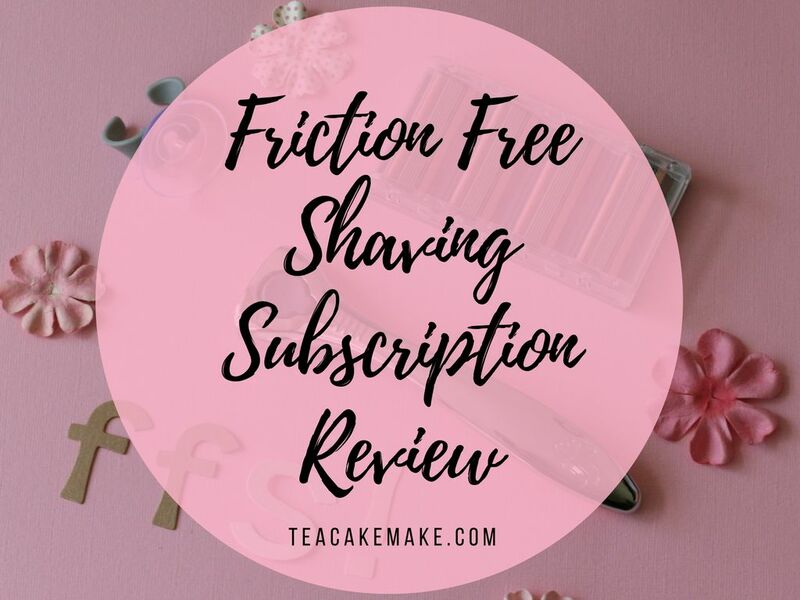 Have you used a razor subscription service like Friction Free Shaving before? How did you find it? Let me know in the comments below? Disclaimer: Friction Free Shaving* sent me product to review and to help me to create this post. This post also contains affiliate links, which are denoted with an asterisk (*). Affiliate links help me to run my blog and by using them you are helping me out. Thanks!